Posted April 4th, 2016 by ATS & filed under Sealant Testing, Tradeshows. ATS is headed to New Orleans, LA next and will be at the 2016 ASC Spring Convention & Expo April 18th – 20th! We will not only be in attendance, but will be exhibiting at booth #400 during the Expo on April 19th. 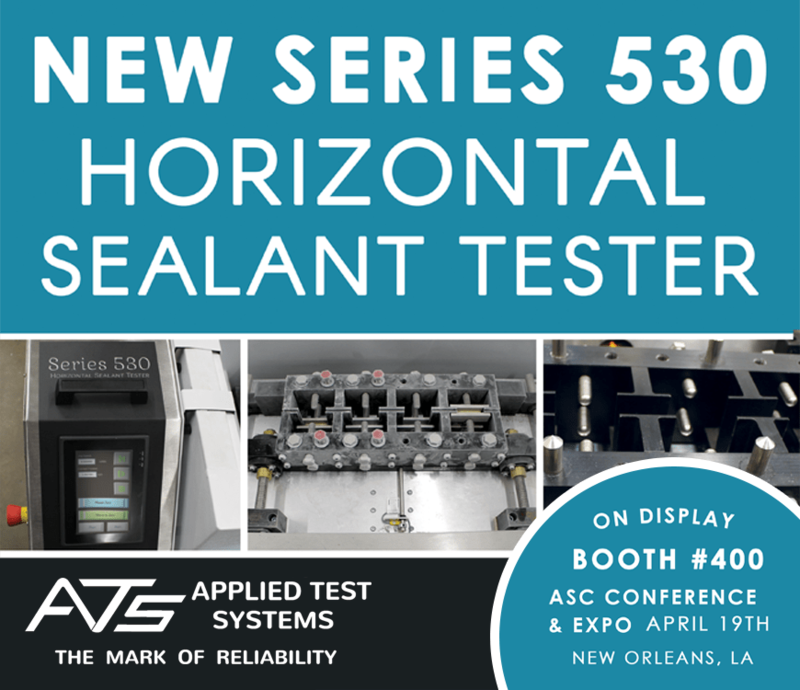 Our new Series 530 Horizontal Sealant tester will be on display, with our knowledgeable ATS sales engineers on hand to answer questions about our diverse product line. The Series 530 features digital touchscreen technology, increased sample capacity, user friendly sample removal, remote communication, and eight pre-programmed language options. It is designed to perform Aymar Type Tests at 1/8 inch per hour at variable speeds of 1/8 – 2 1/2 inches per minute according to ASTM C910, ASTM C736, ASTM C719, FEDERAL SS-S200, and FEDERAL TT-5230 test standards.